Multifunctional Integrated Media Gateway CUT-2RI is designed for operation as a component of stationary or mobile systems, used to develop automated digital telecommunication networks, integrating radio, telephone and data exchange services. 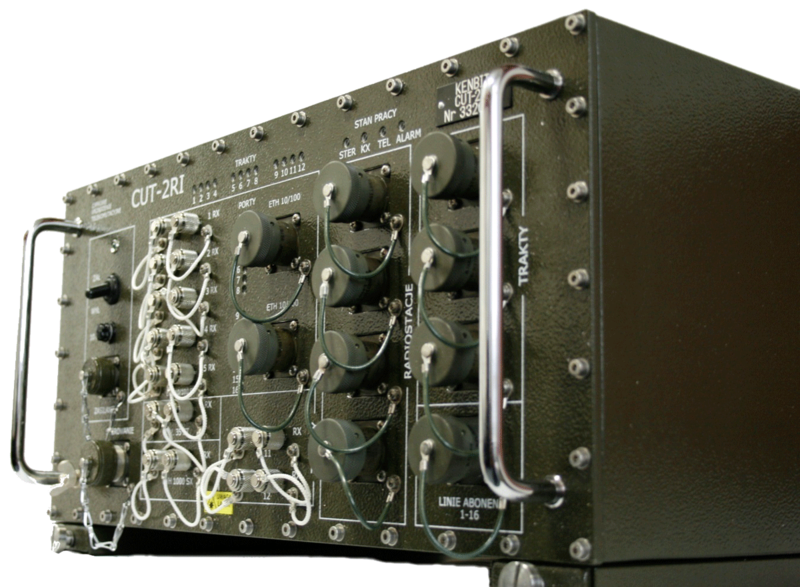 CUT-2RI may be used for the carrying out of the field, stationary fixed, end terminal and transit communication nodes. CUT – 2RI integrates all the functionality in one housing necessary and sufficient to achieve the system structure construction of the future command vehicle. CUT- 2RI integrates in on uniform systems all the radios, satellite terminals, computer terminals and endpoint subscribers equipment. CUT – 2RI has a wide functional range of cooperation with the combat field radios. It includes telephone calls between wired and/or radio subscribers, as well as IP advanced data services. On the wired side CUT -2RI has a wide range of paths through the block. Device configuration is customized according to the requirements. 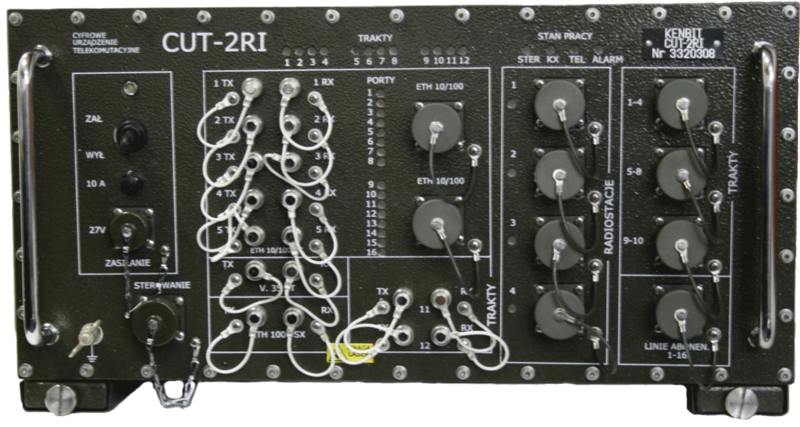 The basic version of the device has eight groups of tracts in standards: STANAG 4210, STANAG, 4578, EUROCOM, ISDN PRI, and STANAG 4206. In addition, 4 tracks E1 can be used together by creating a virtual route 4xE1 with 8192 kbit/s data rate. In principle, the scope of standardization used on the wired side is enough to attach to any of the telecommunication system, can be met in the NATO members armed forces, as well as in the civilian infrastructure. Attaching group tracts: STANAG 4210, Eurocom 64…2048 kb/s, G.703, STANAG 4578 i DSS1 ISDNPRI, STANAG 4206.